May 2018 Video I filmed and edited is released of Mason Barnes surfing around the world. January 2018 | Los Angeles, CA | Directed, filmed, and edited a music video for "Vibes" by Shae Brock. December 3, 2017 | Venice, CA | "Four Birds" The supermoon photographed from my rooftop at 1853PST, 1.5 hours after moonrise. November 2017 | Cortes Bank, CA | Filmed big wave surf break "Cortes Bank," over 100 miles off the coast of Southern California. Two-time Big Wave World Champion, Grant "Twiggy" Baker pictured here on two separate waves. November 2017 | Tokyo, Japan | Directed, filmed, and edited a music video for "Higher" by Stefan J. Selbert. 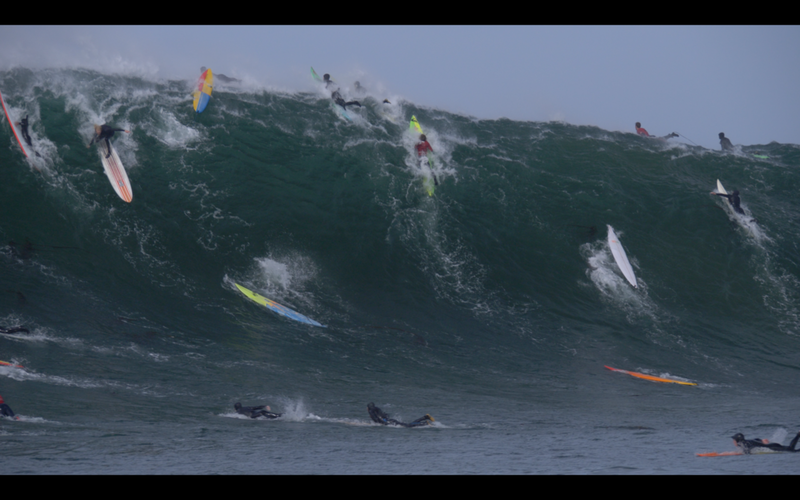 October 2017 | San Francisco, CA | Filmed the season opening swell at big wave surf break "Mavericks." September 2017 | Outer Banks, NC | Filmed a video of Mason Barnes during Hurricane Marie that was viewed over 1 million times across the internet. September 2017 | Dana Point, CA| Photographed Corey Harper at Ohana Music Festival for Hurley. June 2017 | USA | Toured the Pacific Northwest and Southern states with Corey Harper as the videographer/photographer for Hollister Co. Three music festivals (Sasquatch!, Bottle Rock, and Bonnaroo) and eleven venues. May 2017 A music video I directed, filmed, and edited was released. April 2017 Testing out the new Panasonic LUMIX GH5 on Mason Barnes, shown here laying back on a crispy one in Venice Beach, CA. April 2017 It was my first time in Joshua Tree, it's truly a magical place. March 2017 The Oregon coastline is a special place. Mountains meet the coast with evergreens and rain. I caught some good waves with some good people. March 2017 Drove to Phoenix, AZ from Los Angeles, CA with Corey Harper, Dylan Day, and Jordy Dettmer for the Viva Phoenix music festival. January 2017 Mason Barnes and I took a road trip from Los Angeles to San Francisco to follow a swell. Ocean Beach / Mavericks. January 2017 Bringing my imagination to life: here is a little something I made for Winston House. October 2016 A little Halloween project I created.